Your team’s pitch means everything to the fans as they follow each season’s goals, penalties and conversions. When clubs replace their pitch we can turn the old turf into a very special memento to celebrate the action that happened on the field. 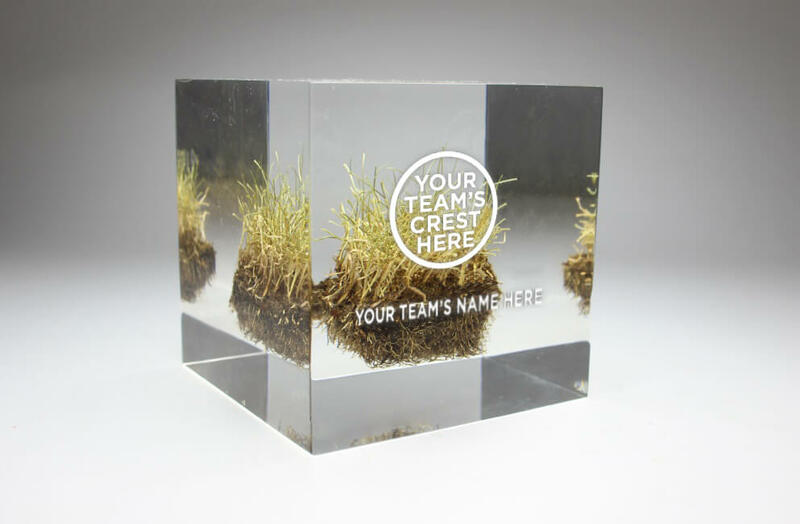 We take the hallowed turf and capture sections of it in clear acrylic that may then be branded and inscribed.